Nothing is off limits to the NSA and so much for anything personal privacy. According to the NSA and their collection techniques, we are guilty until proven innocent. According to the WAPO, “Each day, the presentation said, the NSA collects contacts from an estimated 500,000 buddy lists on live-chat services as well as from the inbox displays of Web-based e-mail accounts.” But don’t worry, President Barack Obama previously stated that the NSA’s email collecting program “does not apply to U.S. citizens.” Of course this is the same individual who says that the Obamacare website is a success, it is just “glitchy”. During a single day last year, the NSA’s Special Source Operations branch collected 444,743 e-mail address books from Yahoo, 105,068 from Hotmail, 82,857 from Facebook, 33,697 from Gmail and 22,881 from unspecified other providers, according to an internal NSA PowerPoint presentation. Those figures, described as a typical daily intake in the document, correspond to a rate of more than 250?million a year. From The Hill … Maybe some one might want to define and quantify what “required to minimize the ‘acquisition, use and dissemination’ of contacts of U.S. citizens” is! Shawn Turner, a spokesman for the Office of the Director of National Intelligence, said the program is aimed at “valid foreign intelligence targets,” including terrorists, drug smugglers and human traffickers. 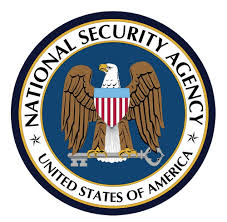 He added that the NSA is required to minimize the “acquisition, use and dissemination” of contacts of U.S. citizens. But of course because of media bias, we hear really nothing of this invasion of privacy. However, as the Lonely Conservative states, image if a Republican was in the White House? Well, well well, the liberal leaning Huffington Post has agreed to a $315 million buyout from AOL. The news broke lasy night on the HuffPo. Arianna Huffington will become president and editor in chief the Huffington Post Media Group. She will control media content? Huffington Post founder Arianna Huffington, who made the announcement on her site Sunday night, will become president and editor in chief the Huffington Post Media Group, which will put the news outlet she co-founded under the same ownership as AOL’s collection of sites. Huffington – the former wife of one-time Republican Senate candidate Michael Huffington – has evolved into a well-known pundit and author, and a powerful player in Democratic circles as a result of her venture. Has AOL just turned into the MSNBC of the Internet? AOL can no longer appear to be apolitical with this merger. Many are asking like The Other McCain and the American Spectator as to whether this merger makes sense and if there was a misplaced decimal point. I am not sure it does as well, that kind of $’s for that many uniques? Hmm.